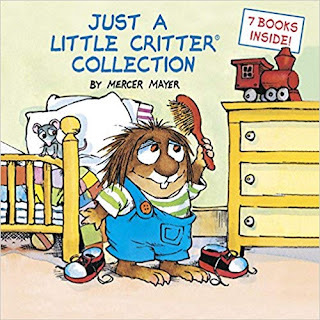 Celebrate 40 years of Little Critter with seven classic stories in one book, including Just for You (the very first Little Critter story! ), Just Go to Bed, All by Myself, I Was So Mad, When I Get Bigger, Just a Mess, and I Just Forgot. This 176-page hardcover collection is a wonderful way to introduce Mercer Mayer’s beloved tales of growing up to a whole new generation.